Part time and Full time delivery drivers needed. All shifts available. We specialize in catering here at the Chicken & Rib Crib. Give us a call before your party, big game or special event and get catering prices. Don’t let the name fool you… at the Chicken and Rib Crib of Mahwah New Jersey, we specialize in a lot more than just Chicken & Ribs. Under this crib, we cook up a variety of freshly cooked and generously portioned amounts of food. 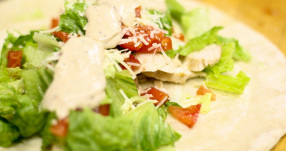 We serve Pizzas, Wraps, Salads, Philly Cheese Steaks, Burgers, Seafood and a long list of sides. Our most famous assortment of food is our Chicken, Ribs, Chicken Tenders and Buffalo Wings, which customers continually come back for to satisfy their hunger. At the Chicken & Rib Crib of Mahwah, our policy is to serve fresh generous portions of the most delicious high quality food available in a timely manner. We are continuously striving to broaden our menu with quality food and to be the best takeout and delivery restaurant by focusing on customer service, fresh food, and quick delivery. Our customers have made our food famous over the years and they continue to keep us in motion as we cook up the best food our area has to offer.